Welcome back to school! I hope everyone had a nice summer break and is ready to start the 2017–18 school year. The teachers and staff have been busy at school, getting everything ready for the new year. Last Saturday was the Annual Back to School Picnic. A big thanks to Kendra Dodsworth and Ramon Bridges, our new PTA Co-Presidents, for organizing the picnic. It was great to see everyone in a casual, low-key environment. Our Kindergarten Lemonade on 8/24 also went well; a big thanks to Carla Bryant and John Cohen (filling in for Nina Cohen) for organizing the event. Both events were well-attended, and it was great to see so many of you before school began. 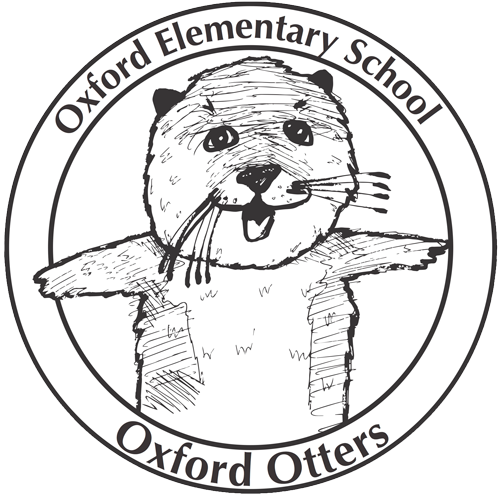 And we have new Oxford T-shirts with our new student-drawn Oxford Otter logo! T-shirts will be on sale at upcoming school events. 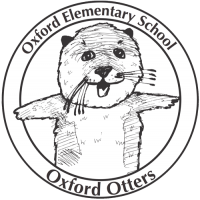 Be sure to check out the school website, oxfordelementary.org, and sign up for the newsletter and the email list. The PTA is introducing a new communication platform, and we will be encouraging everyone to sign up for that too, but until it’s up and running, we will be using the Oxford email list. Oxford is a small school, a strong school, and a key part of that strength is our community. Thank you for being part of our community and for your support. We are off to a great start and I’m looking forward to a great 2017–18 school year! Do you want to learn more about life at Oxford? Back-to-School Night is next week on Thursday, September 7. This is an adult-only event. Teachers will meet with parents/guardians in the classroom to review curriculum, rules and expectations, special projects and other classroom-related information. In between grade level presentations, parents/guardians will meet with the principal in the cafeteria to talk about school-wide events and information.
. Hope to see everyone there! We want our children to know that it’s important that they attend school every day. We only miss school when it’s completely necessary to do so, i.e. illness or family emergency. When students are absent, they are affected in several ways. For most, missing learning time impacts their academic progress. Many students thrive on the structure and routine of school, and when that isn’t in place, they feel less engaged with their learning and their school community. And for some, their relationships with peers and friends are impacted when they miss school. BUSD, like all school districts, takes attendance very seriously. Family vacations should be planned during summer vacation and other breaks. Even if you call and let us know that it’s a family trip, it’s considered an unexcused absence and is documented on the attendance record. After three unexcused absences, you will be notified via a serious-looking letter regarding potential truancy issues. If the absences continue, a meeting with the district attendance liaison and me will be scheduled and we will discuss strategies regarding how to improve attendance. Do you know we have a nurse full-time on campus this year? We are so lucky to have Nurse Judy at Oxford this year. Most schools don’t have a nurse on site, and certainly not full-time, but because we have some students with specific medical needs, BUSD funds a nurse to be at our school. Nurse Judy is in the office, ready to help out when needed. She does everything from supporting students with seizures to pulling out splinters! , if you have questions. The first official meeting with the 2017–18 committee will be in early October. Get ready for the Oxford traffic flow! Because it’s going to flow. Drop-off and pick up at Oxford School can be challenging. The surrounding streets are narrow, and congestion is common. We are fortunate to have Ms. Val out front on Oxford Street, facilitating drop-off. You can pull up, your child can exit the car safely, and Ms. Val is there to make sure they enter the building. Travel around the school in a clockwise direction. This way, the passenger door will open out to the sidewalk on the school side of the street, making drop-off smoother and safer. Do not block bus zones, either on Walnut Street or on Oxford. The small bus on Oxford drops off some of our students who have physical disabilities. It’s critical that the bus can pull up to the curb in the loading zone. Please don’t block the bus. The Walnut and Oxford Street curbs are for active passenger loading and unloading only. Do not use these gray zones for waiting in your car, and don’t park there and leave the car unattended. You will block others from dropping off their child. Warning: the City of Berkeley gives out tickets for illegal parking, and they are pricey. not drop your child off on the opposite side of the street from the school and have them run across the street. It’s especially dangerous on Oxford, with its blind corner. We want to keep our children safe. The best strategy is to park 1 to 2 blocks away and walk to school with your child or drive around clockwise and allow Ms. Val to facilitate the drop-off process. We appreciate everyone’s efforts to keep the traffic moving smoothly and our students safe.